The evening will begin with a brief viewing of the exhibition Chiara Fumai: LESS LIGHT by Kari Conte and Francesco Urbano Ragazzi. Federici’s lecture will be live streamed on ISCP’s Facebook page through Facebook Live. Silvia Federici is a feminist activist, teacher and writer. In the 1970s, she was one of the founders of the International Campaign for Wages for Housework. She was also one of the founders of the Committee for Academic Freedom in Africa and the Radical Philosophers’ Anti-Death Penalty Project. She is the author of books and essays on women’s history and feminist theory, political philosophy and education. 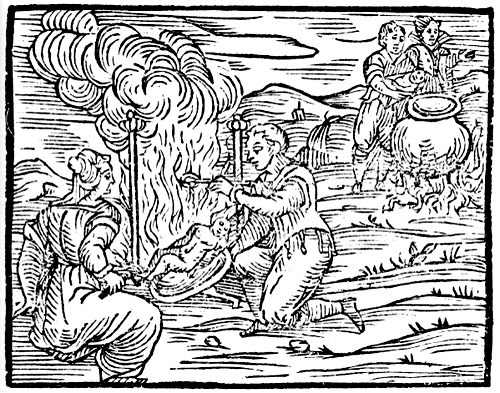 Her published works include: Caliban and the Witch: Women, the Body and Primitive Accumulation; Revolution at Point Zero; Witches, Witch-hunting and Women, and Re-enchanting the World: Feminism and the politics of the Commons. Federici is Emerita Professor at Hofstra University. Francesco Maria Guazzo, Compendium Maleficarum, 1608, page from book. 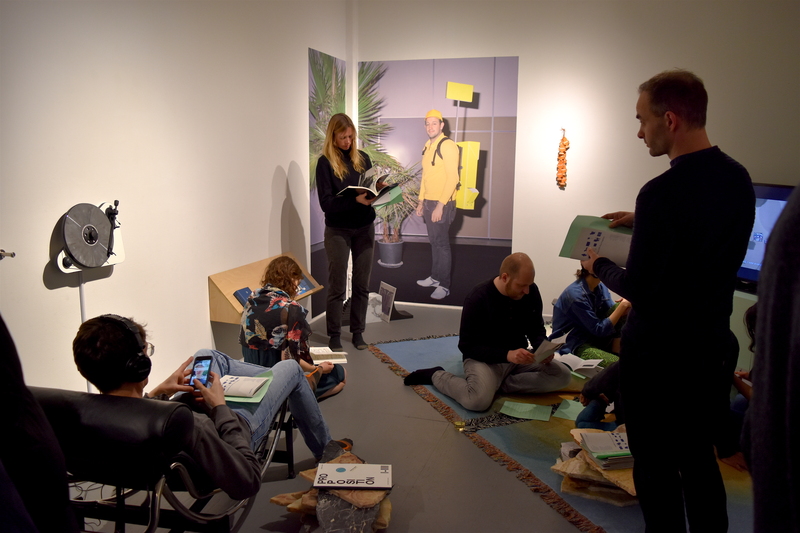 The International Studio & Curatorial Program announces Living Room: UIT (Use it together) a collective site-specific proposition by resident curator Amanda Abi Khalil, organized in collaboration with ISCP’s community. This exhibition includes a television channel with videos that comment on the aesthetics of participatory approaches in social art practices. Inspired by artist Hélio Oiticica’s discussions of Eden and theorist Stephen Wright’s concept of Arte Útil, Living Room takes over an exhibition space that usually triggers modes of spectatorship. Turning ISCP’s Project Space into a room for living, a shared space—by altering its function to a space of usership, created, used and activated (together) by the people who inhabit it—transforms its capacity to frame what is displayed inside it as art. Living Room is firstly a temporary user-friendly space for ISCP’s residency program that is created through various types of collaborations meant to activate the room during a period of three months. Contributors were invited to propose existing works or suggest new works of 1:1 scale, which were not representations of anything, but could be understood as “practices of what they are and propositions of what they are,” in the words of Stephen Wright. All the seemingly domestic elements which comprise the Living Room have a double ontology: they are artworks from which the art coefficient is removed or to which the usership value is restored so that they can serve a potential function. Contributing artists include Danilo Correale with Reverie, on the Liberation from Work (2017), Simone Couto with Rest in Peace (2018), Johannes Heldén with The Green Room (2019), Samuel Henne with untitled (proposition #I, II, III) (2019), Thiago Honório with Exchange exchange (2019), Becky Kinder with Little Trees (2018), Ilaria Lupo in collaboration with Paed Conca and Sarigama with Overseas Ensemble (2015), Yann Pocreau with Diffraction 1, 2 (2018), Ian Swanson with Style options (2013) and Daniel Wagener with yellow fellow with plant (2016). Wendy’s Subway, a non-profit reading room, writing space, and independent publisher located in Bushwick, Brooklyn, is contributing a selection of bookstands designed by Tyler Polich & Hannah Wilentz as well as artists’ books that grapple with being both artworks and books. Living Room also features a television channel showing six videos of participatory art projects that took place in different contexts in Lebanon, Germany, Bahrain and the United States. These videos introduce innovative formats of collaboration, addressing issues of hospitality and reciprocity. The channel presents Miziara Architects (2014) by Vikram Divecha, German for Newcomers (2016) by Stine Marie Jacobsen, Nocturne for Pit Orchestra (2017) by Ilaria Lupo in collaboration with Rabih Beaini, Sewing Borders (2018) by Mohamad Hafeda, Mathaf Mathaf Chou Hayda (2018) by Annabel Daou, and The Art of the Deal (2019) by Franziska Pierwoss. Putting Stephen Wright’s Toward a Lexicon of Usership to test in a context where art is produced resonates with the curator’s interest in social and particularly participatory art. How can these 1:1 practices outlive the engaging and relational contexts of their production without being commodified? Amanda Abi Khalil is an independent curator based in Beirut. 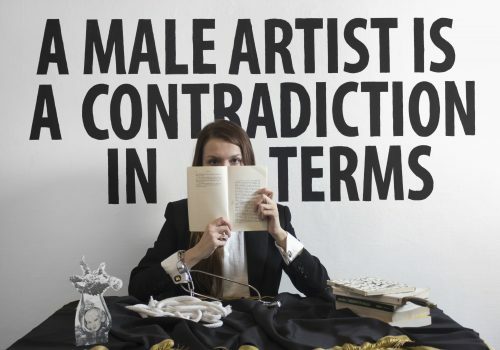 Her curatorial projects are focused on socially engaged practices and exhibitions that critically address modes of production and exhibition in the art world today. She is the founder of Temporary Art Platform, a curatorial platform that aims to shift artistic and curatorial discourse towards social and contextual concerns in Lebanon through residencies, research projects and commissions. She is the Jane Farver Curatorial Resident at ISCP from December 2018 to February 2019. February 26, 6:30-8pm: Dream Homes and Heartache Panel Discussion: Phantasmagorias of the Interior, organized in collaboration with the “On Being Human” Seminars at New York University. March 29, 6–8pm and March 30, 1–7pm (ISCP Spring Open Studios): Annabel Daou will perform her Fortune project during ISCP’s Open Studios as part of the Living Room. In this ongoing project, members of the public are invited to partake in an intimate interaction in which they present their palms and receive their fortunes transcribed onto paper for a small fee. The reading and writing is entirely silent. This program is supported, in part, by Greenwich Collection Ltd.; Hartfield Foundation; Jane Farver Memorial Fund; Lambent Foundation Fund of Tides Foundation; New York City Department of Cultural Affairs, in partnership with the City Council; New York State Council on the Arts with the support of Governor Andrew M. Cuomo and the New York State Legislature; and Stavros Niarchos Foundation (SNF). The panel discussion is supported by New York University and Andrew W. Mellon Foundation. Living Room: UIT (Use it together), 2019, installation view. 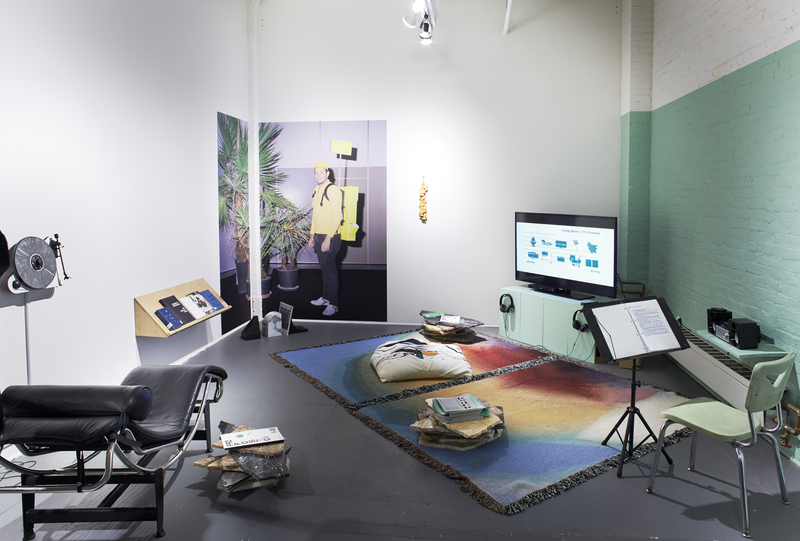 Living Room: UIT (Use it together), 2019, installation view. Photo by Martin Parsekian.